Gleb is a graduate of Spokane Valley High School. While here he made a great impact on the school community as ASB President, and as a student leader in the Spokane area. 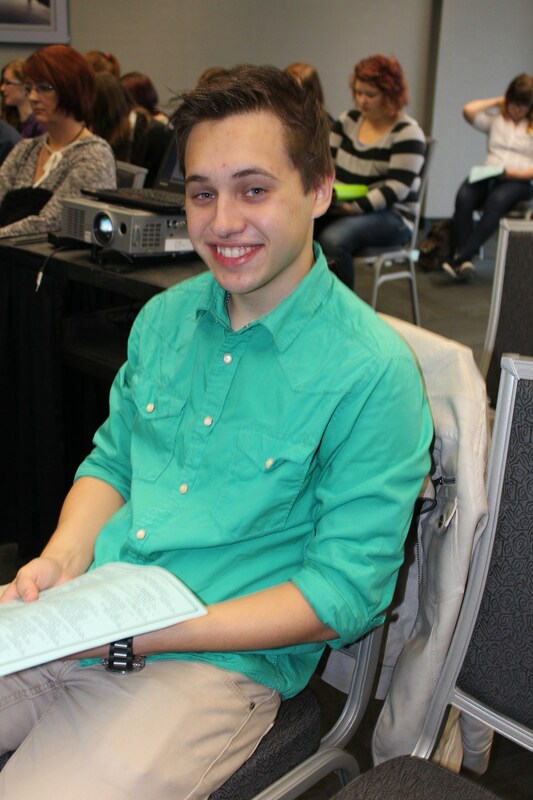 Gleb is the 2014 recipient of the Chase Leadership award and a member of the Chase Youth Teen Advisory. He was selected as most notable student in 2015. Gleb attended Princeton University in the Junior Statesman Summer Institute all while being the student representative on the West Valley School District Board of Directors. Gleb is a student at Embry-Riddle Aeronautical University in Prescott, Arizona. He was born in Sochi, Russia and raised in East Ukraine. His grandmother was a survivor of the Ukrainian Genocide Famine. During her life family members were murdered and some were imprisoned in gulags and prosecuted for their Christian faith. Gleb immigrated with his mother and five siblings to Spokane when he was nine years old to join his grandmother. His father was unable to join the family and remains a refugee in Poland. At a young age, Gleb got neighborhood jobs and earned money to contribute to his family and continues to do so with his part-time job at ERAU. While learning to speak English, he attended eight different schools and was determined to finish his education; his high school years were at Spokane Valley High. In his young, formative years while his mother was busy supporting a family of six children on several low paying jobs, he had no one to guide him in his education. Motivated by his grandmother’s sacrifices, he became his own blueprint and was self-driven and self-propelled. Gleb excelled in school and became a role model for others. Thrilled to be at Embry-Riddle, Gleb is earning a Bachelor of Science in Aviation Business Administration and minors in Economics and Industrial Organizational Psychology, while working 15 to 20 hours a week with a cumulative GPA of 3.8/4.0.